Definitions of human beings as "symbolic animals" emphasize our capacity to form theories and general laws that can be applied to common social experience. This is balanced by an equally strong will to define events and conditions that are particular to specific times, places, and individuals. In this volume, Dennis H. Wrong argues that the scientific standard of universal laws and propositions has only limited relevance to human historical phenomena. Wrong identifies the essential questions for social science as the place of nature and nurture in forming personality, the sources of variation in human conduct and culture, the causes of deviations from social norms, how human motivations are socially shaped and controlled to make society possible, and, finally, the causes of social change. Because successive generations of thinkers have given varying answers to these questions, no cumulative progress can be said to have occurred. Wrong argues that the unity of theory and research sought by American sociologists cannot be obtained in social theory. In terms of sociological practice, this has created a disparity between the canonical theories of Marx, Durkheim, and Weber, and the empirically oriented methodologies of current social research--especially questionnaires, fieldwork, and statistical research. Wrong attributes this disparity to postmodern skepticism about the potential of the social sciences to create a body of knowledge that might positively reshape human society. Between the large-scale theoretical constructs of classical theory and the overly particularistic tendencies associated with postmodernism, Wrong argues for a historically oriented approach emphasizing unforeseen, accidental agents as a foundation for modestly conceived theories. 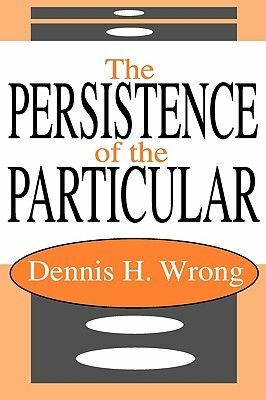 Wrong emphasizes that the capacity to avoid predictable, standardized responses, whether they are based on instinct or ingrained habit, is the source of human creativity. Homo sapiens is as much a particularizing as a generalizing animal. That is the major theme of this effort at the humanization of a discipline divided by space, time, and purpose.